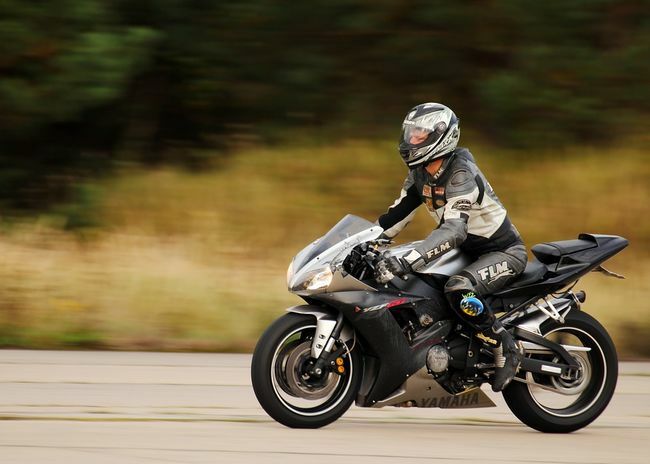 The Best Motorcycle Pants for Women – How to Stay Safe While Looking Good! The Best Motorcycle Pants for Women - How to Stay Safe While Looking Good! Need to upgrade your riding gear? 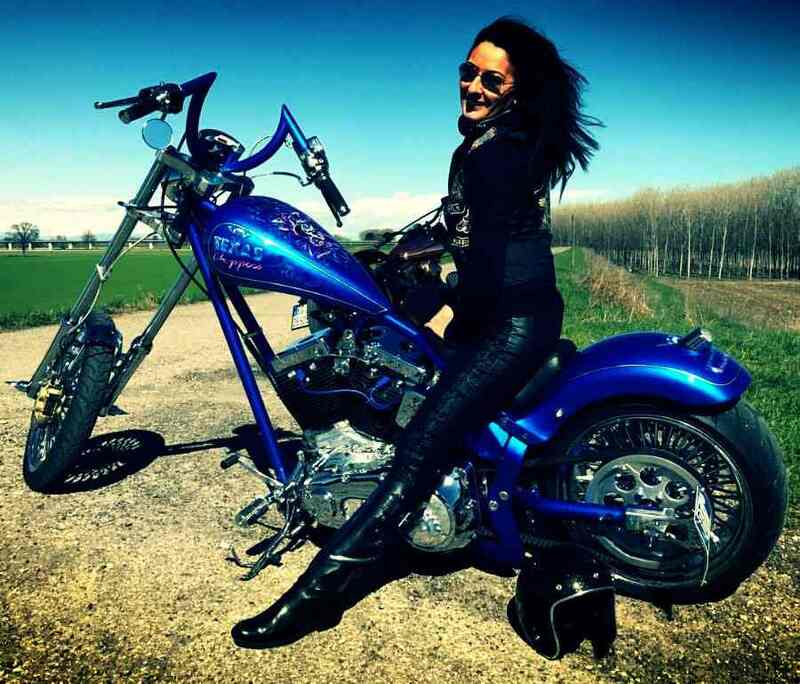 Motorcycle pants for women, leather motorcycle pants or motorcycle chaps… the choice is yours! “I have nothing to wear” is a statement that makes men go running. They know what this means: multiple outfit changes are coming, along with a side dish of tears and maybe even a fit of rage on a bad day. 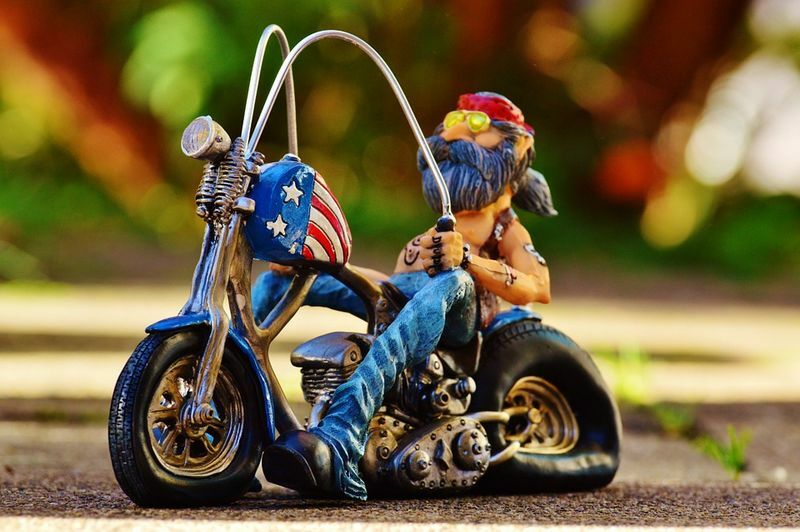 Choosing an outfit can be stressful on a regular day and when it comes to motorcycle riding, it gets even harder – especially if you need to find pants that are suitable for activities beyond riding on your motorcycle. Here’s how you can pick the best motorcycle pants for women that will work for any occasion. Jeans are always a good idea. If you’re a bike rider, motorcycle jeans are the best idea. Can Motorcycle Pants Be Stylish AND Functional? As the list gets longer, it seems increasingly unlikely that you’ll be able to find a pair of pants that meets these requirements and somehow manages to look stylish and trendy, too. 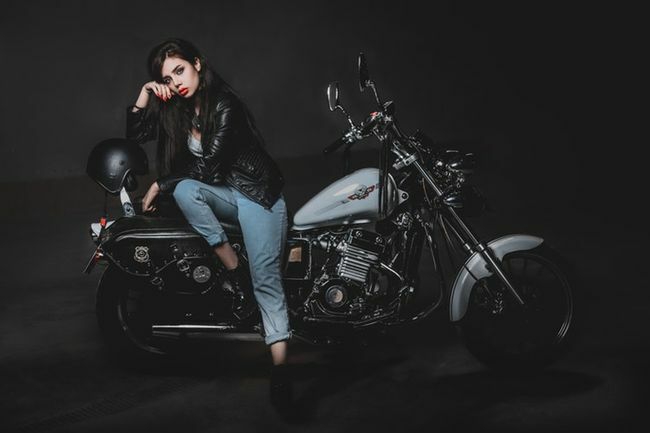 While not impossible, this task is certainly difficult and a great place to start looking for the best motorcycle pants for women is by doing your research. That’s where we come in – read on to find out more about important factors such as construction, materials, fit and purpose. 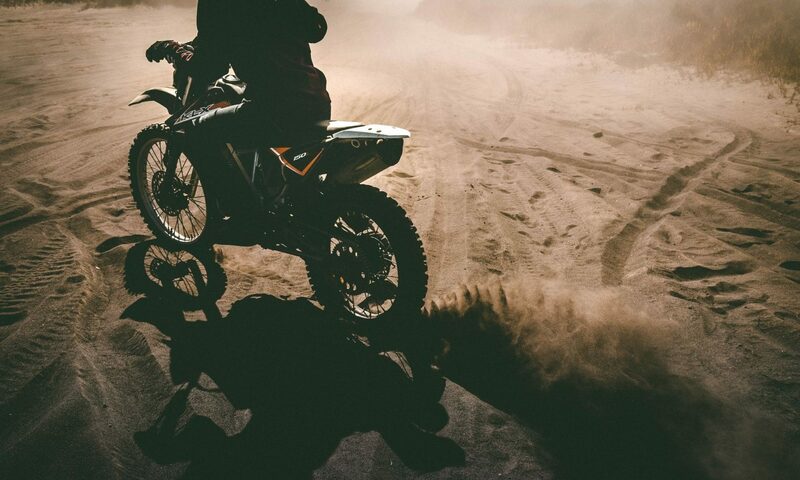 There are so many materials and combined materials that can be used to make sturdy motorcycle pants (source). Although denim is an old favorite, it ranks quite low on the list of abrasion resistance and protection. Rather, materials such as ballistic nylon, Kevlar and Gore-Tex offer better features for protection and comfort. Ballistic nylon is a thicker synthetic fabric with better strength, and you’ve probably heard of Kevlar for its abilities as body armor. It’s also used in motorcycle gear to increase heat and abrasion resistance, while Gore-Tex is a material that’s both waterproof and breathable. And then, of course, we have leather motorcycle pants for women – those typical black motorcycle leathers. A heavy type of leather that’s thicker than 1.3mm will hold up well against abrasion. The textiles above are somewhat cheaper than leathers, although quality leather with strong stitched seams will last longer than ballistic nylon and other similar materials. It is resistant against friction and abrasion, and can often be repaired after a crash. It’s also durable and it looks hella stylish, let’s be real. The downside? Real leather requires special care (source) to ensure it stays strong and still looks good. And then there’s the comfort part: although leather breaks in well and sits comfortably, it provides little ventilation and can get quite heavy to wear in summer. Leather is also a bit more difficult to enhance for waterproof capabilities and airflow. If the pants don’t fit correctly, you can forget about their effectiveness in protecting you in case of an accident. Pants that don’t sit correctly could slide around, move the armor or even slide off when you hit the ground. Again, the inseam will differ a bit on motorcycle pants since you will be leaning forward most of the time. To take accurate inseam measurements, measure from the heel to the highest point of the crotch. Some gear is CE-approved, which means the armor is reinforced according to European safety standards. Read more about safety standards here. Adjustable settings: Some pants are made to be adjustable, which makes it much easier to ensure that you can get the best fit possible. Reflective piping: Visibility is always a must for motorcycle riders and getting pants with reflective piping keeps you safe on the road. Attachments: Motorcycle pants often have buckles or straps so that they can be attached to a jacket or other gear. Even if you fall, the pants will stay up and cover your legs and bottom by being attached to other gear that’s unlikely to be pulled off if you slide or crash on the road. 1. Adjustable settings: Some pants are made to be adjustable, which makes it much easier to ensure that you can get the best fit possible. 2. Reflective piping: Visibility is always a must for motorcycle riders and getting pants with reflective piping keeps you safe on the road. 3. Attachments: Motorcycle pants often have buckles or straps so that they can be attached to a jacket or other gear. Even if you fall, the pants will stay up and cover your legs and bottom by being attached to other gear that’s unlikely to be pulled off if you slide or crash on the road. • Top tip! Take the measurements in centimeters and inches (source) so you can make quicker conversions for online shopping of European and other brands. • Top tip! Always check the manufacturer’s sizing chart to make sure it aligns with your measurements. Reading reviews of gear will help you make sure that the sizing runs true to size. Let’s focus on motorcycle pants for everyday riding. If you’re just a casual rider or looking for something that you can wear to work or even for a night out, a pair of neutral black (and if you need to look professional, non-leather) motorcycle pants should work just fine. 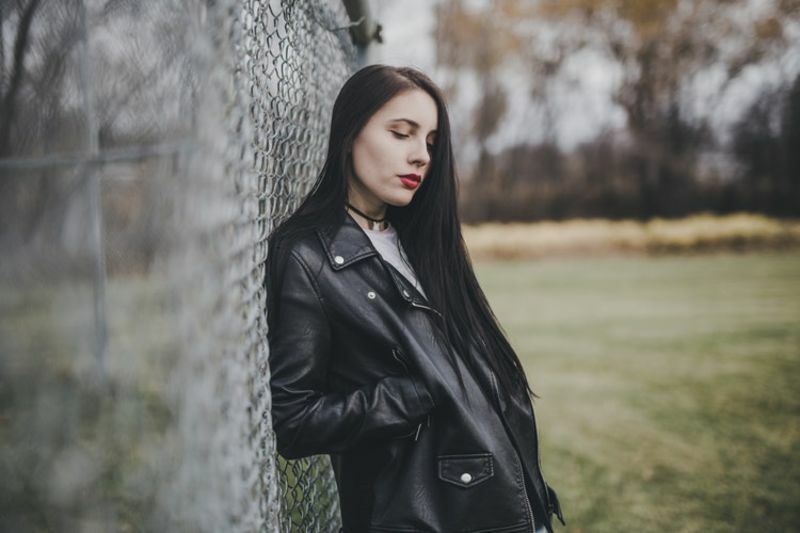 There are lots of plain pant styles available that don’t scream biker chick so shop around and find something that’s both practical and stylish. If you have a casual type of work, why not try a pair of leather motorcycle pants on colder days? Confidence is key so don’t worry about hitting the gym beforehand, just be sure to find a pair that sits well and has a good level of protection. 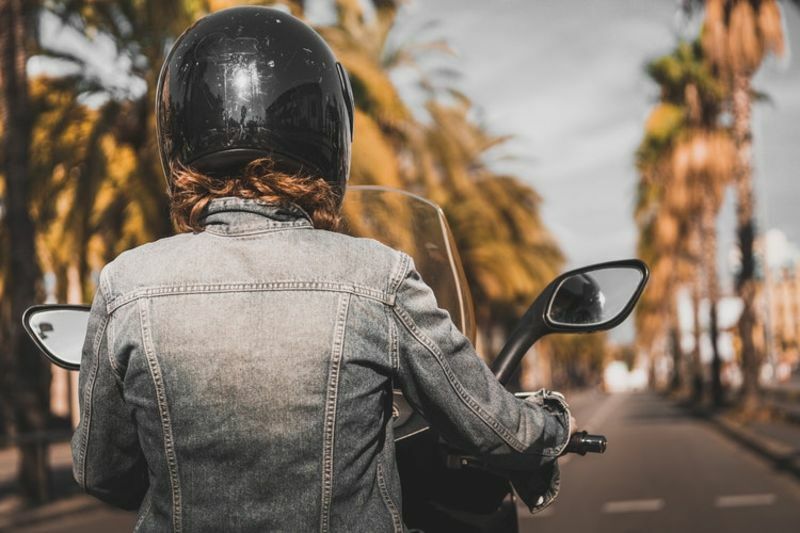 If you find that neither leather nor touring pants are satisfactory, you can always invest in a pair of motorcycle chaps for women or an overpant that can be slipped over an outfit and taken off when you reach your destination. 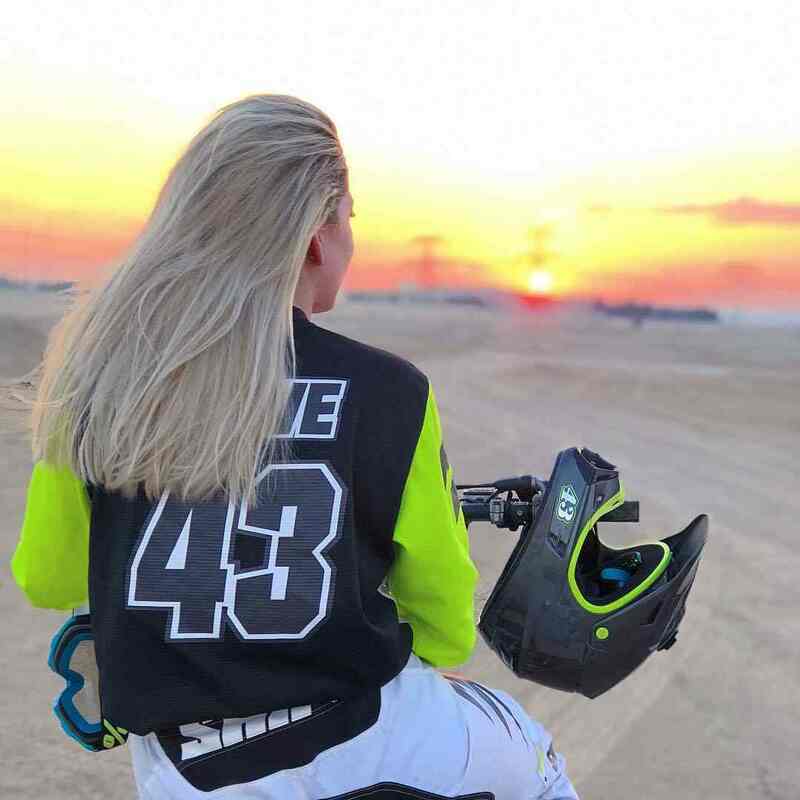 Motorcycle chaps and overpants offer a high level of protection and if the small inconvenience of removing them and having to carry them along when not riding doesn’t bother you, they are a great solution to still wearing that outfit you painstakingly picked out. Check out our reviews below to learn more about chaps and overpants! Here’s a great example of a casual pair of jeans that has been stylishly converted into a reinforced pair of motorcycle pants for ladies. The slim fit is trendy and can be dressed up with a nice blouse and subtle motorcycle boots. The fabric is a blend of spandex, denim and Kevlar, offering ultimate protection. There are even zippers in the thigh area to allow for attachable knee protectors and increased ventilation when necessary. This is literally a pair of causal motorcycle jeans that’s comfortable, trendy and not cutting corners when it comes to safety. Black pants are a wardrobe staple and these motorcycle pants will combine easily with your daily outfits. Every woman needs a pair of motorcycle pants that are subtle enough to wear to any occasion. Joe Rocket’s motorcycle pants for ladies are well-designed with great features and look casual without being sloppy. Some awesome features include removable hip padding, removable waterproof liners, leg zippers, adjustable hem for height, a jacket attachment and an adjustment system… phew! Is there anything these pants don’t have? Leather motorcycle chaps for women are great for slipping over outfits and offer some of the best protection and durability. Alright, time to give you the inside info on chaps. Motorcycle riding chaps are a great piece of gear that can be slipped over other pants and attached at the waist with a belt. Many chaps are unisex and if the right size is purchased, they should fit well for most riders. Bottom snaps ensure that the pants are secure around the ankle. This particular pair of chaps is made from heavy duty cowhide leather. It might take a bit of extra care but rest assured, these will keep you safe on the road. Make sure the thigh measurement is correct rather than the length, since the length of chaps can be shortened easily. Slip these over your regular outfit and remove them just as easily. Dress these up by finding some edgy jewellery to complement the reflective piping. Are your favorite motorcycle jeans in the wash? Get a pair of overpants as a back-up. Like their namesake, overpants can be slipped over other garments while riding. They offer extra protection and this particular pair has a waterproof lining, ventilation and reflective piping, perfect for night-time rides or rainy day commuting. They’re also incredibly affordable! The outer shell material is durable and the areas around the knee are reinforced with stretch panels and CE-approved armor. The inner lining is detachable and there are enough pockets for you to keep your personal items within reach for an easy on/off adjustment when you reach your destination. Functional and even stylish, these overpants give off a classic leisure look that can be made edgy with a few choice accessories. Life’s too short to wear boring pants. Get a pair like this with detailed embroidery to wear on those days when you need a bit of flare. Motorcycle gear is really so varied. If you’ve looked at the other motorcycle pants for women and thought they were all just a bit boring, here’s a pair of chaps for you to slip over your choice of pants. These chaps come with delicate embroidered patterns in vibrant colors such as pink, purple and orange. These certainly aren’t your typical leather chaps but they are strong with stretchy thighs for a better fit and deep pockets. The embroidery has reflective highlights and the pants have an adjustable back lacing. This might just be the perfect alternative to spice up your riding gear without compromising on safety and comfort. At the end of the day, your best motorcycle pants or chaps will depend on your style and budget. For a casual pair of motorcycle pants, the Maxler Kevlar jean gets our vote since it has everything a rider needs. It’s easy to wear, perfect for almost any weather condition and works with pretty much any outfit. Chaps and overpants are nice alternatives but if you’re looking for a quick and easy solution that can be worn all day and for every occasion, denim is your best friend!